If you like Mexican food and feel nostalgic for Michael Jackson, take a book a table for lunch time at Obá restaurant before the holiday (this holiday is November 2nd to honor the dead people). Didn´t you understand the relationship? Every year, the restaurant Obá performs the popular Mexican fiesta 'Día de Los Muertos' in Sao Paulo, and the event offers typical dishes and cultural traditions. But how about Michael? The water surface at the Obá's entrance will be decorated with the 'Ofrenda de Muertos', which as usual, honors those who has passed away. It will be Michael Jackson this year. Fair enough! When: October 22nd to November 2nd, from 1pm till 4h30pm. How much: About R$ 40 per dish. The British singer Joss Stone is coming back to Brazil next month. Her concert in Sao Paulo will be host at HSBC Brazil on November 22nd. Well known by the hits "Fell in Love With a Boy" and "Super Duper Love," Joss is the second time in the country. Where: HSBC Brasil, Rua Bragança Paulista, 1281, Chácara Santo Antonio — São Paulo - SP. How much: From R$ 70 to R$ 300. Kristen Stewart, star of The Twilight Saga, will be in Sao Paulo on Sunday to promote the second film in the series: New Moon, which is scheduled for worldwide release on November 20th. The visit is part of an extensive tour. The actress will be accompanied by Taylor Lautner. Both will be here for a press conference on Nov 1st and won't be present on the premieres during their passage for Brazil. The actor Robert Pattinson won't come to Brazil. The Piano Bar of the Hotel Transamerica in Sao Paulo receives the exhibition Art in Formula 1 - Brazil 100 times winners. 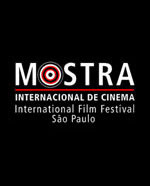 The central theme of the show is a tribute to the Brazilian one hundred victories in the category. The country has reached one hundred victories in the category when Rubens Barrichello gained in the European Grand Prix this season. In total, thirteen artists sign paintings and sculptures, which refer to all Brazilian winners as Emerson Fittipaldi, José Carlos Pace, Nelson Piquet, Ayrton Senna and Felipe Massa. In addition, the exhibit features the services of the restaurant HT, which provides an air space with bohemians and exclusive food and drink. To give a special air exposure, drinks with the names of six Brazilian riders who made history in Formula 1 will be served. When: From 8am till midnight. Untill December the 4th. Between August 2009 and January 2010, it is possible to admire symbols of pop culture, portrayed by the artist Rodrigo Lima, in four subway stations of São Paulo. 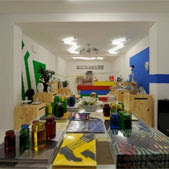 The exhibition Pop Brazil shows ten paintings, produced with a proper technique in acrylic on panel with vinyl mask. It started in Vila Madalena subway (green line). In September and October has been in the Blue Line in Sao Bento station; it is moving to the Station Clínicas in November and December and the last station to receive the work of Rodrigo Lima will be the Tucuruvi in January. When: Sunday to Friday, from 4h40am to midnight and Saturday, from 4h40 am to 1 am. 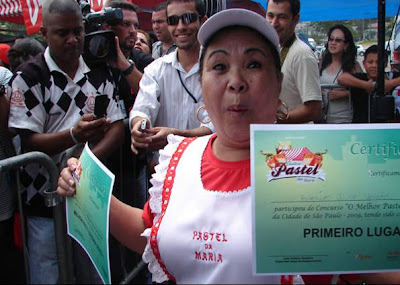 Maria Kuniko is the owner of the tent of pastel winner of the Best Pastel Competition of Sao Paulo. She got crazy when found out about the result. 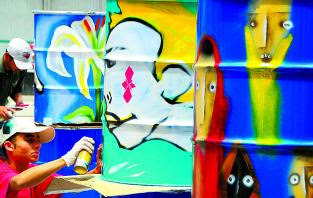 Among the competitors were 10 tents of pastel participating in the final. From 9am, the public could try, (at a price of R$ 1) and vote for the best one. According to the organizers of the event, more than 10 thousand pastels were sold from 9am to 1h30pm. Maria sold 1200. Inside Sao Paulo was there and agree: "Pastel da Maria is truly the best!" 1º: Pastel da Maria - Tuesdays at Rua Capitão Manoel Novaes — Jardim São Bento; Wednesdays at Rua Cayowaá, 2.000 — Perdizes; Fridays at Rua Mendonça Drumond — Jardim Maringá; Saturdays at Alameda Subtenente Francisco Hierro, 351 — Parque Novo Mundo and Sundays at Avenida Mario Lopes Leão, 700 — Santo Amaro. 2º: Yamashiro (Pai) - Tuesdays at Avenida Jose Maria Witaker; 1121 — Planalto Paulista; Wednesdays at Avenida Bem-te-vi, 104 — Moema; Thursdays at Rua Campante, 81 — Vila Carioca; Saturdays at Avenida Diederichsen, 45 — Vila Guaraniand and Sundays at Rua Carneiro da Cunha — Bosque da Saúde. 3º: Pastéis Gabi - Tuesdays at Avenida Pau D'arco Roxo, 220 — Cidade Pedro José Nunes; Thursdays at Avenida Borboleta Amarela — Jardim São Martinho; Fridays at Avenida Flamingo, 37 — Vila Curuçá Nova; Saturdays at Rua Anastácio Trancoso — Jardim Nélia and Sundays at Rua Benedito de Souza Borges — Jardim Robru. 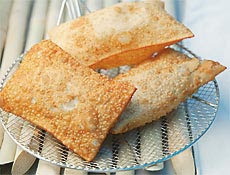 For those who want to make the own Pastel at home, this link displays one of competitor's recipe (Portuguese). There are two recipes: a classic meat Pastel and a Shrimp plus Cheese. Try out and let us know what you think. Meeting point for friends and family. 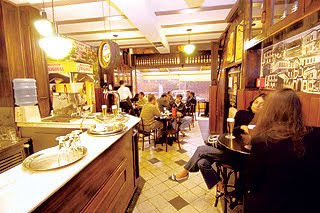 The bar, which honors the writer Luis Fernando Veríssimo, mix cuisine and literature. It's possible to choose a dish and at the same time, browse and learn about the works of the author. On the walls, stories, cartoons and book covers. At lunch, happy hour or dinner, the versatility of Verissimo, located in front of a square in the heart of Brooklyn, is like the soul of the poet: little bit of everything and able to charm everyone. There is a wide terrace, bar, deck and lounge making the space an interesting place. The feature is the bar, where you can find fantastic 'Caipirinhas', classic drinks, Cachaça, chopp from Brahma plus Brazilian and imported beers. In the cellar, wines from different countries. 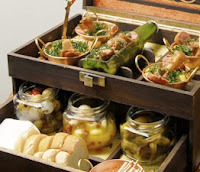 Among all Verissimo's snacks, the best one is the Pirulito de Rabada no Caixote (oxtail meat immersed in a pan with polenta, Tuscan sausage and crispy watercress, accompanied by pickled okra and colored quail egg). Exotic but you might to try! When: Monday to Saturday, from midday till 1am. 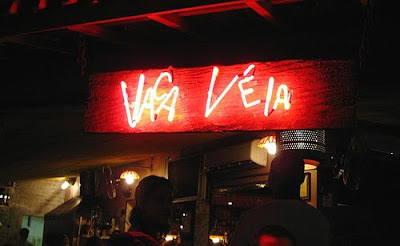 Vaca Véia means Old Cow and this name is a sort of Brazilian slang used to represent nearest and dearest relationships. 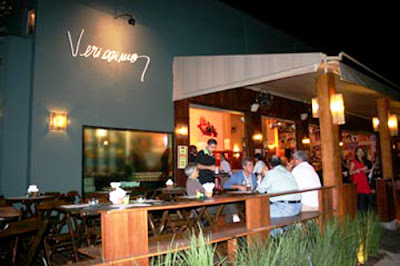 Vaca Véia follows the tavern chic mood, well-attended during the happy hour period. The atmosphere is relaxed and very crowded, with several tables that fill up quickly, so it's necessary to arrive early. Most of the customers, however, grab the drink and forget about the table. The menu serves traditional snacks and cold beer. The audience is young, relaxed and a crush on is constant. The suggestion for snack is the Estufadinho da Vaca (Risotto with filet mignon, goat cheese, saffron, pink pepper and arugula). Order this 'petisco' plus an extremely cold beer and find out why this place is so crowed. When: Monday to Thursday, from 5pm till 1am. Friday to Sunday and holidays, from midday till 1am. The performer Dita Von Teese finally brings her burlesque performance to Brazil, with a show at the nightclub The Week in Sao Paulo on October 28th. The ex-wife of Marilyn Manson will make a single private presentation (Be Cointreauversial), reserved for only 400 lucky guests of the sponsor, the brand of drinks Cointreau. In one presentation, the performer, who reinvented the pin-up of 40s and 50s, brought the ancient art of striptease. The show presents her sensuality via unusual elements such as a large martini glass and a carousel. The ten finalists of the Best 'Pastel' Competition will be assembled today, beginning at 9am on the Charles Miller in the square in front of the Pacaembu Stadium. 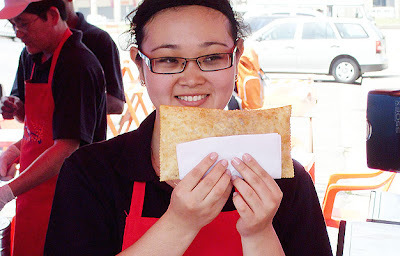 The Pastel will be sold for R$ 1 till 11am. The winner has to get the best score among popular and technical judge. There are three prizes: R$ 8 thousand, R$ 2 thousand and R$ 1 thousand. The biggest winner is the community and the competitor's staff working for the best 'Pastel' ever. Join it! 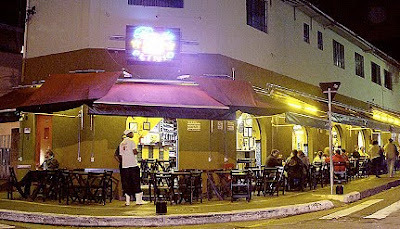 Armazén Paulista is a typical 'paulista' restaurant. Decorated with objects from 40s, the house recalls the tradition of good bars of São Paulo within good food and great prices. The place's decor refers to the Sao Paulo city in the old days and the bar tries to revive the tradition of the classic bars. 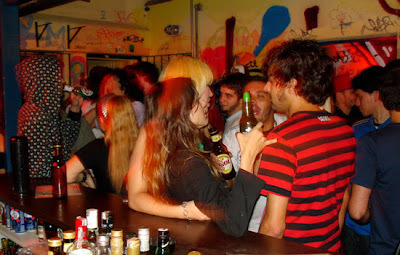 Armazén Paulista classifies itself as a place to have cold beer, spend some time with friends and most of all, flirting. The clients age range from 25 to 30 years old and most of all are business people and young beer lovers. 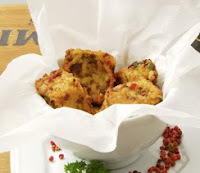 Among the highlights of the menu, besides the cold draft beer, the advice goes to the Petisco (Snack) called 'Rabicó no Polvilho' (Fried rice cookie of meat, accompanied by pepper and vinagrete). There are about other 20 options for petiscos to try, charged by weight. The drinks menu is extensive and includes different options using fruit for each season of the year. Every Saturday, starting at midday, Armazén Paulista serves the authentic Brazilian Feijoada. The preparation of this dish starts two days before and includes the best ingredients to turn it unforgetable. 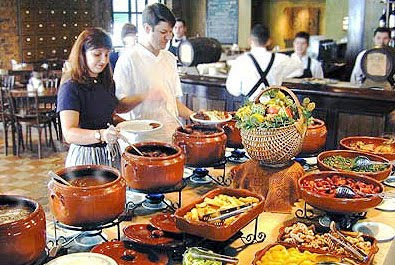 The Restaurant's concern (since most of Feijoada's ingredients are Pork meat) is the low fat index. For this reason, this Feijoada became famous and received a kind nickname: 'Feijoada Light'. There is a group singing Chorinho, Samba and Bossa Nova while the Feijoada is served. When: Monday to Friday, from 5pm till the last client. Saturday, starting at midday and Sunday from 4pm. 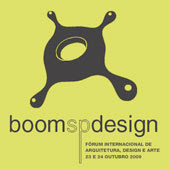 The 2nd edition of Boom SP Design brings back the last year excellence presented by team of designers, architects, advertisers and entrepreneurs from in and outside Brazil. The International Forum discussion revolves around the relationship between architecture, design and art with the impact of new technology and consumer behavior addicted of good design. With new address and more affordable, the event offers live broadcast to students, discussion boards, lounge with demonstrations of videos and Space Exhibition, which houses works and products of forum speakers. Where: Boom SP Design, Rua José Antônio Coelho, 879, Vila Mariana — São Paulo. When: October 23rd and 24th. Check out the programming. How much: R$750; R$ 350 for students. 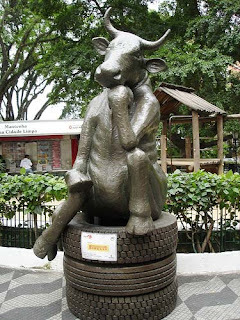 The sculptures of cows would return to Sao Paulo on November 17th, but the parade was postponed to January 22nd following the request of the City Council to coincide with the anniversary of the city. The Cow Parade is a traveling show with sculptures of cows arranged in places of great circulation. Bar Birô is pretty much a bar than a restaurant — despite the fact of serving lunch. It has a typical influence from Minas Gerais State (where one of the owners came from) and the place is cozy and small composed by dark wood furniture and marble counter. Definitely, Bar Birô has a happy hour vocation. Close to the Paraíso Metro Station plus some Unis, its very busy from 6h30pm to 10pm every single day. The staff is really friendly and helpful. Among the options written on the menu, the highlight goes to the 'Birôguetti à Bolonhesa' (snacks of spaghetti Bolognese, accompanied by pork sausage, cheese sauce, pepper, mustard and black olives). Other option is the 'Porção Mineirinha' (pork ribs, fried yucca, pork's crackling, mini cheese rolls and rice cakes, and cuts of meat served in stone, including the classic Brazilian Picanha, filet mignon and sausage. That is a Portuguese restaurant with a unique decor that offers a typical European cuisine. Created by an authentic Portuguese descendant from Barcelos (Dona Rosa), Academia da Gula is definitely one of the best Portuguese restaurants in town. Famous for the dish prepared using codfish, this house offers a delicious 'Bacalhoada' al olive oil and onion. Unforgettable! Pretty close to the Ibirapuera Park, Academia da Gula can be a great destination after jogging. The restaurant's working time dictates the mood and suggests lunch as a main meal or happy hour. It's definitely not a place to remain after hours. Famous for been a great competitor at Boteco Bohemia's competition, this restaurant offers every year, a good option as 'petisco' (snack in portuguese). Try out the 'Costelinha em Vinha d'Alhos com Farofa Crocante' (Ribs in wine and garlic with crunchy manioc). You won't regret. When: Monday to Friday, from 7am to 10pm. Saturday, from 9am to 5pm. How much: About R$ 25 per person. There is a pub in São Paulo called Milo Garage. It is placed on a quiet street of a wealthy Jewish neighborhood and it's the address of a great and exciting "little hell". It's almost impossible to get in after midnight when Milo open its doors. Milo is pretty much an indie rock pub but also has gotten a black groove and an electronic vein. The house is tiny but the bar has a big counter where it's possible to find interesting drinks, despite the 'reading menu challenge' (it's impossible to read the itens writen on the menu). The graffiti-covered garage wall filled with underground party people sets Milo as an emblematic place. Being an alternative rock reference in Sao Paulo city isn't a new situation to Milo, because they got the 'revealed secret' of being a successful destination: small place, nice music, good drinks and outside smoking area. This recipe brings interesting people and Milo got it. Different of most Brazilian pubs, Milo charges the drink on the counter (the average situation is to get a consumption card to be paid at the end). The price is fair. It's possible to get pissed for much less than anywhere else. That's why it's hard to get in after midnight. Close to the exit door, there is a small shop selling nice t-shirts, Posters and CDs. It's a great place to be. When: Wednesday to Saturday, from 11h30pm till last client. How much: About R$ 10 to get in. (R$ 180 to R$ 300). Be aware! 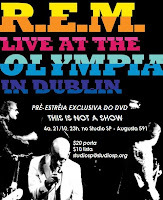 THIS IS NOT A SHOW is a double CD (39 songs) + DVD recorded during 5 days open trial that REM made in Dublin, Ireland in 2007, before recording the album ACCELERATE. Studio SP hosts on October 21st a listening party as an 'Avant-Première' of this material. It'll be the only listening party outside the USA! The "THIS IS NOT A SHOW" has it's world release organized for October 27th. Studio SP also receive some artists on the same night. 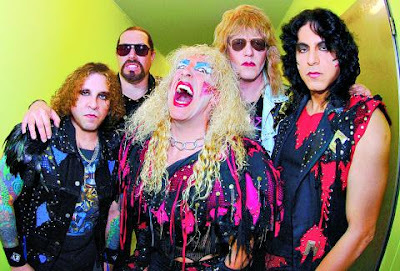 At 9pm BlueBell goes up on the stage to open the night. It is a free entrance on that time and it remains until midnight, when automatically becomes full price for those who decides to remain at the house. 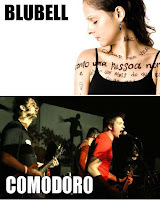 Comodoro is the other band on the stage playing Punk music and DJ Rassif will be leading the pick ups all night long. When: October 21st, starting at 11pm. How much: R$ 20 at the door and R$ 10 name on list in advance. On October 20th and 21st, Sarah Brightman will be on the Credicard Hall stage mixing pop-symphony in São Paulo. Sarah had her first successful song "I Lost My Heart To a Starship Trooper" during the dance music boom. Then she met the composer Andrew Lloyd Webber, whom she married, and joint musicals like The Phantom of the Opera and Cats. Sarah is a Soprano singer and during the 90's, she recorded duets with Andrea Bocelli and Jose Carreras. 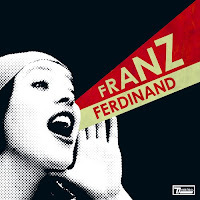 The CD 'Symphony' released on 2008, is the basis of her presentation. The album works as an example of the mixture that Sarah does with the pop and classical music. The track "Canto Della Terra" has Bocelli singing with her. On the same album, Sarah flirts with the rock style and put Paul Stanley from Kiss, to sing "I'll Be With You". When: October 20th and 21st, at 9.30 pm. 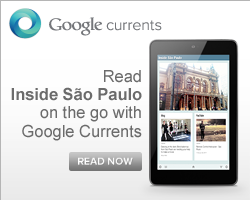 Sao Paulo's cultural offer is huge and going to the theatre is a good option to spend the week end! Usually it's hard to understand a performance in Portuguese, if you are foreign and don't speak this language, but we'll try to advice musicals or shows easy to follow! These days there is something really interesting at the Teatro Folha, it's a musical called "Os Saltimbancos". It was written by Chico Buarque and in this version is directed by Fezu Duarte. It's a very simple story: four animals (a donkey, a chicken, a dog and a cat) form a band and go to the town, searching for the dream of becoming artists, they will be facing a new reality; the animals are a metaphor of workers who escape the wage system to establish a community. As always Chico is explaining a deep problem in an easy way. When: Every Saturday and Sunday, at 17,40, untill December the 20th. How much: R$ 30 and R$ 15 for children. 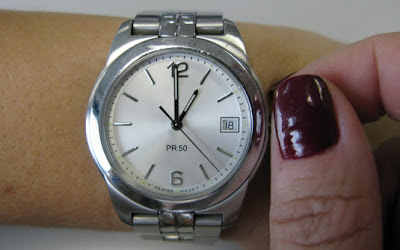 It will be necessary to add one hour to the clock on October 18th 2009. The Brazilian Daylight Savings Time (DST) on 2009 will begin on October 18th at 0h01am and ends on February 21st 2010 at 0am. The time as adjusted to achieve longer evening daylight, by setting the clocks an hour ahead of the standard time. Be aware about flight schedules and buses departing time. The time changes is only applied to the states of Rio Grande do Sul, Santa Catarina, Parana, Sao Paulo, Rio de Janeiro, Espirito Santo, Minas Gerais, Goias, Mato Grosso, Mato Grosso do Sul and Distrito Federal. Last year, the period began on October 19th and ended on February 15th 2009. The Daylight Savings Time is current in Brazil since 1932. 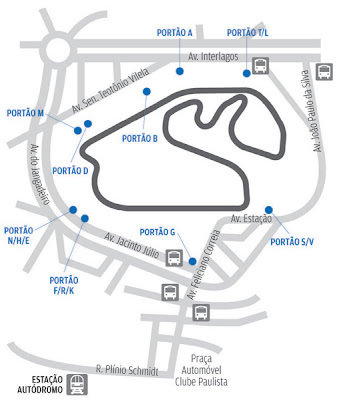 Users can land at Autodromo Station on Line C of CPTM (Paulista Company of Metropolitan Trains) and go through the rua Plínio Schmidt to the Automóvel Clube Paulista Square and then, get the Av. Feliciano Correia until the Gate G, after pass through the train line footbridge. Shopping Interlagos: Avenida Interlagos, 2225. Saturday, starting at 6am and Sunday at 5am. Jabaquara Metro Station: Saturday, starting at 6am and Sunday at 5am. República Metro Station: Saturday, starting at 6am and Sunday at 5am. SP Market Shopping Center: Avenida das Nações Unidas, 22.540. Saturday, starting at 6am and Sunday at 5am. Congonhas Airport: Saturday, starting at 7am and Sunday at 6am. To the SP Market Shopping Center: go to the corner of Av. Jacinto Júlio and Av. 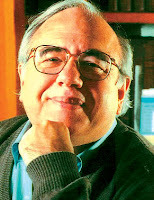 Feliciano Correia (close to the Gate G); or Av. Antônio Barbosa da Silva Sandoval, close to the Av. Interlagos. To the Shopping Interlagos, Congonhas Airport, Jabaquara Metro Station, República Metro Station: go to the Av. Interlagos, close to the A. Rio Bonito; Av. Feliciano Correia, close to the Gate G.
To the Jabaquara Metro Station: go to the corner of Av. Jacinto Júlio and Av. Feliciano Correia, close to the Gate G; corner of Av. Rio Bonito and Rua Antônio Barbosa da Silva Sandoval. Under recovering from the Hungarian Grand Prix accident last July, Felipe Massa will wave the checkered flag of the Formula 1 Brazilian GP 2009. The Ferrari driver, who won the Interlagos race twice (in 2006 and 2008), only will be able to get back on track on March, 2010, at Bahrain. Pele, in 2002, and the top model Gisele Bundchen in 2004, has also had the chance to wave the checkered flag for the winner of Sao Paulo's champion. 2009 is the Felipe Massa's turn. Urban intervation idealized by Felipe Morozini, directed by Jeorge Simas around Elevado Costa e Silva in São Paulo City, to make a little bit less rough. One dweller and 21 friends painting one of the most crowded avenue in the biggest city in South America. 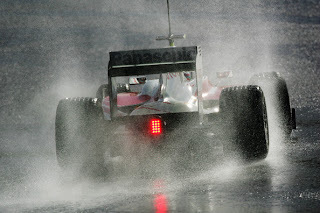 Rubens Barrichello is not able to say what would be the best weather conditions for the GP Brazil on Sunday at Interlagos, the penultimate round of the F-1 2009. He says that a wet track would be the ideal setting to try to secure the British Jenson Button, the championship leader, but is afraid that a race with rain helps Sebastian Vettel, Red Bull. Vettel (who drives pretty well in the rain) is two points behind Barrichello in the championship of Formula 1. "The rain turns everything into a lottery. I love the rain! I believe in Interlagos, Brawn will be more competitive than Red Bull, but they used to grow in the rain," said Barrichello. The forecast says that São Paulo must have showers on Friday and Saturday, days of free practice and qualifying proof. For Sunday afternoon, when the race will be contested (2pm, GMT -3), the forecast says quick rainstorm. The winner of Interlargos 2009 will receive a Felipe Massa's checkered flag, Brazilian driver who is recovering from a serious accident suffered in practice for the Hungarian Grand Prix last July. "I thought he would be able to drive at Interlagos, but I think he needs a little more time. If I can get his checkered flag, it will be great!" said Barrichello. 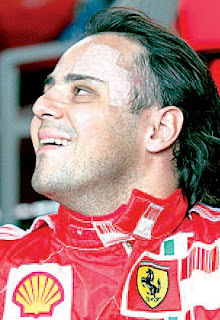 Massa from Ferrari, is recovering from a serious accident caused by a broken car part left by Barrichelo's car on July. Now he is fine and will be back next Formula 1 season. The Championship leader is already in Sao Paulo for the GP Brazil of Formula 1. The British Jenson Button, who is 14 points ahead of Rubens Barrichello and can be champion at Interlagos in advance, arrived yesterday morning on Sao Paulo. 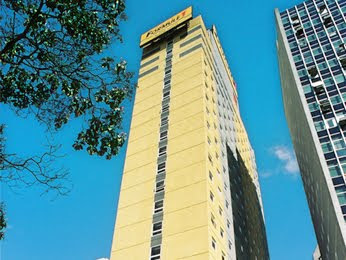 Button is hosted on one of the largest hotels in the city, in the neighborhood of Brooklyn, the South Region of Sao Paulo. The English went for a walk during the morning and spent a long time talking Brawn GP team. Barrichello has defined the sponsorship agreement with the company Batavo and the incomes will be addressed to the Institute Barrichelo-Kanaan working for poor child. 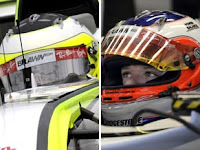 For the fourth time during the Formula 1 2009 season, Rubens Barrichello brings a new layout to his helmet. Five days before the GP of Brazil in Sao Paulo, the championship deputy leader presented the model he will use at Interlagos. 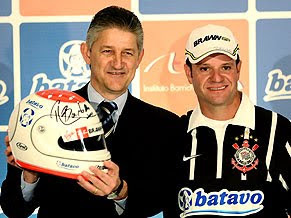 The dairy company Batavo, which already sponsors the Corinthians Soccer Team (Rubens Barrichello preferred team), signed an agreement with the pilot and the values will be transferred to the Institute Barrichello-Kanaan (together with Tony Kanaan, IndyCar Series driver), who works with underprivileged children. The company's brand is the only change in the helmet for this race, which is already used since the Italian Grand Prix, held on September 13th. The design, suggested by the Barrichello's son, has white side and orange top. In 2009, Barrichello started the season with its traditional model (orange side and blue top), then used one with the colors of Brawn GP (yellow and black) and another with the same style of Felipe Massa's helmet, to honor the friend who had suffered a serious accident in qualifying the Hungarian Grand Prix. Formule 1 is a chain of over 360 ultra-economical hotels around the world for sleeping well at a great value for money. Present on 12 different countries, Formule 1 is also inside Sao Paulo. There are 6 different Formule 1 in town (located at Jardins, Morumbi, Paraíso, Paulista, São João and Tamboré) but the Inside São Paulo advice goes to the one close to the Av. Paulista. It's a great location (close to the subway/metro, Rua Augusta and MASP) for a reasonable price. Formule 1 is a low budget chain hotel where three persons can book a nice room for prices ranging between R$ 85 and R$ 109 in São Paulo. The Paulista's Formule 1 costs R$ 109. It's a standard price. It doesn't matter if you want to sleep by yourself or bring up two other persons to your room. The deal is: a double bed plus a single bed above (sort of bunk), cable TV, Air con, desk and clean sheets every day. There is no free breakfast but they offer a nice self-service all-you-can-eat for R$ 6 each person. There is a deal for breakfast in Brazil. If the reservation is made via internet and you show a STB/ISIC student card when you check in, you and your room mate will get a free breakfast. It's better to check before you make the reservation but the tip stills. 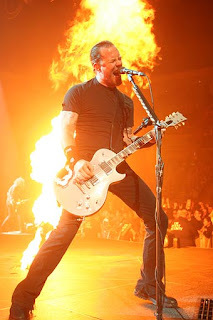 How much: R$ 109 for room. 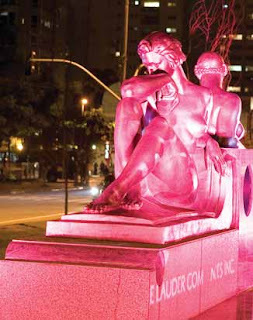 São Paulo is part of the campaign October Rose prevention of breast cancer organized by the Association Breast Cancer Awareness. The sculptures of the Muses of Engineering and Architecture, placed at the corner of Av. Faria Lima and Rua Amauri, were chosen to be part of it. The action takes place during whole October in more than 60 countries, lighting monuments with the color pink, aiming to warn women about the prevention of breast cancer.